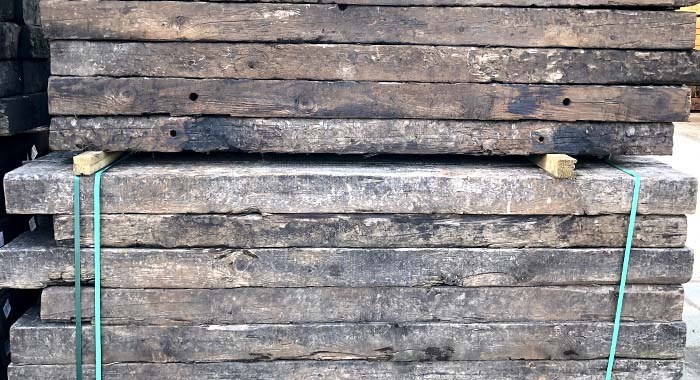 Sourced from mainland Europe our reclaimed railway sleepers are graded as ‘A’ class condition. 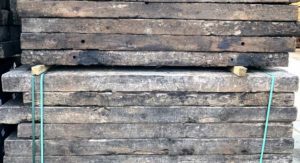 If you are looking to add a new dimension to your garden, our reclaimed railway sleepers are the perfect gardening solution. 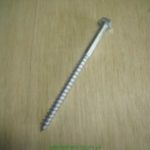 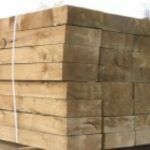 Ideal for creating retaining walls, steps, raised garden beds or pathways, reclaimed railway sleepers are guaranteed to add character to your garden. 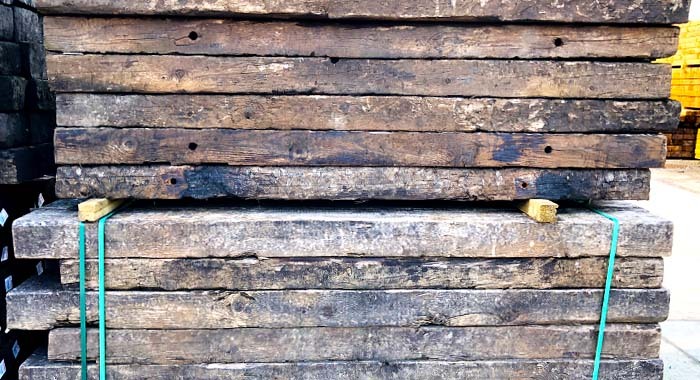 As demonstrated in the photographs above, our reclaimed sleepers are of the highest quality. Having spent decades under the tracks of various railway lines across Europe, these sleepers are authentic and full of character. 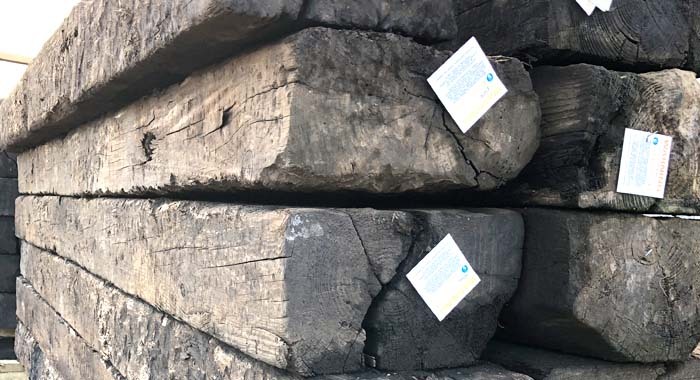 Unlike our new oak railway sleepers, please be aware that our reclaimed railway sleepers will show signs of ageing, with minor splits and shakes. 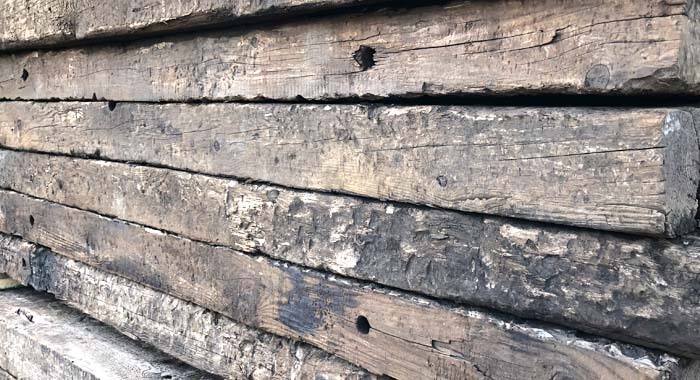 Ideal for outdoor use our reclaimed sleepers are impregnated with creosote to guard against rot and are ideal for use in areas where regular skin contact is not going to be an issue. 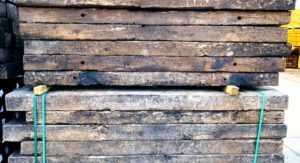 Oakdale Fencing are one of the UK’s most reliable and experienced suppliers of reclaimed railway sleepers, continually taking delivery of new high quality stock. If you would like to find out more about our reclaimed railway sleepers or any other products we stock, our friendly and knowledgable to team are always available to take your call. 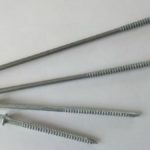 Delivery available throughout the UK.